In this issue: Highlights from the Global Summit, photos and videos to share, awards round-up, OGP and UN Global Goals and the latest on Open Government at a subnational level. For the past several weeks friends and colleagues have been asking me whether the third global OGP summit held in Mexico City at the end of October was a success. Initially, I was somewhat stumped. When you are on the organizing team of an event with over 2,000 guests, including 50 Ministers, a lot of time is inevitably spent in back rooms rather than participating in the debates, workshops and panel discussions that made up most of the agenda. Now that we have had some time to process the outcomes of the summit and debrief with our government and civil society partners in different parts of the world, I have a shortlist of four areas where I think we did well, and two clear areas for improvement. I welcome feedback on this list so that we can effectively learn the lessons of Mexico and apply them to the regional OGP events in 2016 and the next summit in France in 2017. The first area of improvement was the clear progress made in recognizing that without space for civil society, OGP’s theory of change is redundant. At our second summit in London, I felt a general squeamishness from those present to bring up examples of where civil society was being effectively silenced, even in some OGP countries. In contrast, in Mexico we received a clear message that the basic freedoms outlined in the Open Government Declaration must be protected for OGP to work. This message was reiterated in the Steering Committee meetings and in the opening plenary where it was made clear that imprisoning people for political reasons has no place in OGP countries and should be urgently addressed. On the second day of the OGP Summit in Mexico City I sat on the floor, in the stately ‘town hall’, with a group of people who wanted to talk about how OGP could work with subnational governments, as we have done with national governments over the last four years. We discussed how we are planning to do this and got insight and ideas from the bright and creative people who are typical of the open government community. It was a great session and I think we could have all stayed there for much longer than we were able to because it felt relevant, exciting and collaborative. This followed a main stage session the previous day with Mayors and local leaders talking about their experience of open government, which in turn built on the OGP Steering Committee’s leadership and agreement to develop a subnational government pilot programme. In those few days of the Summit we solidified commitment and tapped into expertise to help OGP with this new programme of work. Others have already written about why OGP wants to work with subnational governments but the more people we talk to, the more convinced we become that this is an exciting and important opportunity. I was recently thinking about new and interesting open data commitments that a national government could make and found I was turning to examples in cities and states, rather than in other national governments. It is particularly encouraging that national governments are really championing more subnational involvement in OGP and seeing the opportunity for access to other ideas and experiences. "Let's change our modus operandi by demanding open government"
Our biggest communications undertaking during the OGP Global Summit was a special blog series produced by the Huffington Post. For five days, the Huffington Post featured two daily blogs and provided extra social media support - starting with a tweet from Arianna Huffington herself (see above) - to provide old and new audiences with special insights from some of our community’s most important thinkers. Contributors were chosen to best reflect OGP’s mix of government, civil society and multilaterals. Geographic diversity and gender parity we also taken into account. All blogs are now available on our website for cross-posting and include submissions by: Alejandro González, Executive Director GESOC, Alicia Barcena, UN Executive Secretary of Economic Commission for Latin America and Caribbean, Winnie Byanyima, Executive Director Oxfam International and OGP Ambassador, Helen Clark, UN Development Program Administrator, Jamie Drummond, Executive Director One, Ernest Bai Koroma, President of Sierra Leone, Claudia Ruiz Massieu, Mexican Foreign Affairs Secretary, Elena Panfilova, Executive Director Transparency International Russia, Joe Powell, Acting Executive Director OGP Support Unit, Marinke van Riet, Executive Director Publish What You Pay and Luis Guillermo Solis, President of Costa Rica. The opening scene of James Bond’s Spectre is one beautiful invitation to visit Mexico City - especially during the Dia de los Muertos. In the first scene it takes you back to the square in front of the Palacio de Mineria that hosted this year’s OGP Summit and Civil Society Day. A bit later James destroys the Fru Fru theatre - indeed, that mescal infused place where the OGP community let its hair down at the end of the summit. That party showed the spirit of OGP and underlined that there are reformers (and great dancers) both within government and civil society. This year’s summit was kicked off with a civil society day that was attended by about 1000 civil society actors from close to 100 countries. Many new and familiar faces within the civil society community came together and made tremendous progress through constructive exchange of knowledge and experience on open government. A blog post cannot do justice to the rich debates, speeches, research launched and casual conversations that happened throughout the day. Let me pick up three important points that resonated with me. 1. The big challenges Mexico - and other countries in the region - face when it comes to addressing the most critical governance and political issues they are confronted with. OGP is one of the platforms to push for change, but in itself it won’t be enough. I have come to know Mexican Civil Society as articulate, strategic, yet respectful. They use OGP as one of their tools - not more than that. Their artistic protest in front of Mineria was a demonstration of creative and powerful advocacy - an example for all of us. 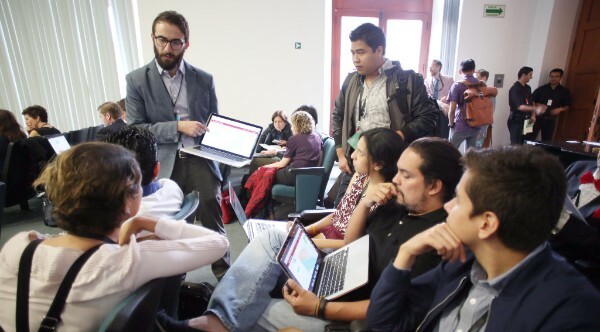 The role of open government in advancing the 2030 Agenda for Sustainable Development was a major theme of the Open Government Partnership Global Summit in Mexico City last month. At the Summit, government and civil society leaders highlighted the opportunity to bridge the open government and sustainable development agendas by embedding the principles of transparency, accountability, and public participation across institutions globally. Participants argued that an open government approach can improve public services, and ultimately, reduce poverty by making governments more responsive and effective. Recognizing the importance of OGP in implementing the 2030 Agenda, members of the OGP Steering Committee met on the margins of the United Nations General Assembly in New York City in September 2015 to endorse the Joint Declaration on Open Government for the Implementation of the 2030 Agenda for Sustainable Development. The declaration commits governments to use the OGP platform to advance the Global Goals. While forty participating governments and around 90 civil society organizations have endorsed the declaration, we encourage more to sign up. The 2015 OGP Global Summit provided a great opportunity to showcase new research on the OGP. On Thursday, October 29th, an hour-long session, facilitated by Ernesto Velasco-Sánchez of OGP's International Expert Panel, presented emerging findings from 18 country case studies. Panelists presenting their research included Nils Taxell of U4, Pallavi Nuka of Princeton University, Michael Moses of Global Integrity, and Mary Francoli of IDRC. Ruth Carlitz, a consultant to the OGP, also joined the panel to help synthesize the findings. Reflecting the dynamic nature of the research, the panel employed a talk show format, with the facilitator asking panelists questions based on their particular area of expertise. Audience members also joined the conversation, tweeting their questions with the hashtag #OGPResearch2015. The panelists grappled with questions about potential trade-offs between ambition and achievability in National Action Plans, the potential for OGP to transform relationships between civil society organizations, and governments, and whether the definition of open government is context-dependent. They highlighted issues such as the importance of small steps for achieving larger goals, the possibility of tweaking National Action Plans to respond to specific problems in OGP countries, and potential research fatigue among their interviewees. The OGP Secretariat will present the findings from all 18 case studies in a synthesis paper to be completed in the Spring of 2016. In addition, individual case studies will be available for download on the OGP website once finalized. At the OGP Civil Society Day October 27 an infographic was shared showing civil society engagement in OGP so far. 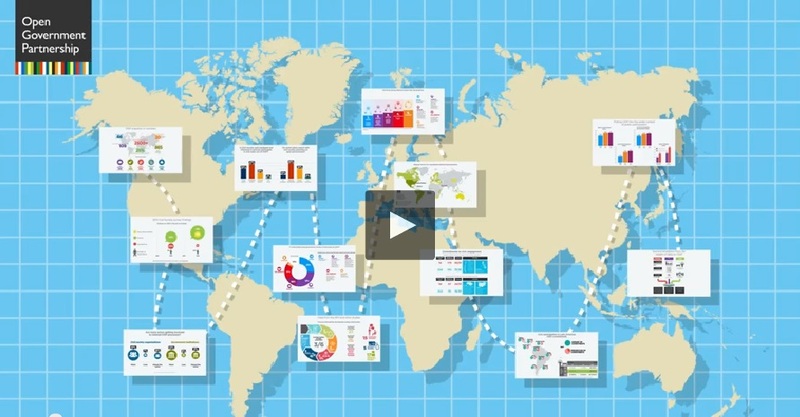 Watch the newest OGP infographic video 'How is OGP doing for Civil Society?' Please note that OGP has grown by three countries since this infographic was made for the Summit and the partnership now includes 69 countries. OGP is much more than Action Plans, Commitments, Policies and Best Practices. OGP is a powerful network of motivated people with a common goal, to drive a revolution around the world to make governments more open, accountable and responsive to citizens. As the case of my country Greece shows, this common goal is of even greater value in times of crisis. Open government can break the wall of mistrust and be a vehicle for economic recovery and growth. OGP’s main role is to support governments and civil society to bring this change. But with such a large and expanding partnership, OGP faces many challenges in ensuring continued engagement and effective coordination of government actions across international borders. In attempting to address this challenge, we soon came to realize that the network of the OGP government Points of Contacts (POCs)- who are on the frontline of making OGP work at the national level- can take up a big part of this challenge. 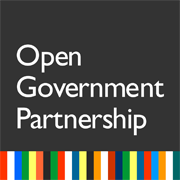 Open Government Partnership welcomed Ivory Coast, Papua New Guinea and Sri Lanka to the coalition, bringing the number of governments to 69! Read our press release to learn more. OGP is very happy to welcome Winnie Byanyima as a new ambassador to the partnership. The OGP Steering Committee feels that Byanyima’s notable career in politics, diplomacy and world-wide development make her an ideal Ambassador for OGP. In her own words: “The only way we can achieve the ambitious Global Goals, and hope to end poverty by 2030, is ensuring there are opportunities for citizen participation and meaningful ways to hold governments to account.' Watch her video message for the Summit. Photos and video from the Summit are now available for downloading, or to share on your social media. One page summaries of all the winning projects are available here. At the Civil Society Day, this year's inaugural Government Champions Award was presented to the Inter-Factional Group of the Parliament of Georgia, nominated by that country's Institute for Development of Freedom of Information (IDFI). Voting was open to all of Civil Society. For further information see the blog by OGP Steering Committee Member (and Government Champions Award Czar), Nathaniel Heller. Before and during the OGP Summit in Mexico City the OGP Steering Committee met on a working level (Oct. 26) and Ministerial level (Oct. 27) to discuss the general state of the partnership, the subnational governments pilot program, subcommittee updates, possible incorporation and other OGP business. Find the minutes here. Every once in a while a revolutionary product comes along that changes everything, and then it's improved. The OGP Explorer 2.0: advanced speed, colors and logic. Now online with data on 2,000 commitments and close to 100 national processes. Following September's change of administration, the new Australian government launched its first public consultation on November 17. All interested parties were invited to join in the development of the country's first National Action Plan. (Australia's OGP process was stalled shortly after the country sent its letter of intent to join the partnership in mid-2013.) Find Australia's new OGP webpage with all relevant information here. In collaboration with civil society, the government of El Salvador launched a new monitoring committee to enhance public participation in decision-making and to monitor their progress in achieving the goals set out in their National Action Plan. Learn more about the committee here. In October, thirteen open government Dutch civil society groups signed a manifesto titled "Our Government, Our Information" with the aim of influencing political decision-making. Learn more about the manifesto and the process by which it was developed. 18 months ago we set out to develop a tool for civil society in OGP countries to assess how open and ambitious their governments were being in developing their National Action Plans. After countless drafts of questions and two rounds of pilots, we’re pleased to finally be able to share what we’ve come up with. US CSO coalition OpenTheGovernment.org published reflections on the U.S. civil society consultation process in the development of the third OGP Ntional Action Plan (NAP), and included recommendations on how the process could be improved. Additionally, the coalition did an independent assessment of the U.S. 3rd National Action Plan. More about their assessment and methodology here. Descripción completa y registración aqui. Full description and registration here. ODP is an initiative of Connected Development (CODE). Members of Civil society, Government, media and academia are invited to come together to learn and share new tools and skills that can be used to make their work more effective (especially concerning the use of data).To learn more and/or register please contact Nkechi Okwuone or Rita Sambo. UNESCO names September 28 "International Day for Universal Access to Information"
In a victory for ATI campaigners everywhere, the UNESCO General Conference voted to designate September 28 “International Day for Universal Access to Information". Find the official UNESCO resolution here. Africa Freedom of Information Centre Coordinator, Giblert Sendugwa, explains the significance of the UNESCO decision in a blog on our website. Copyright © 2015 Open Government Partnership, All rights reserved.